We're always keen to welcome newcomers, so whether you're an experienced golfer or new to the game, help is at hand. Select the most appropriate category of membership for you from the Types of Membership page. Complete and return the simple Application Form, either in person or online. If there is no waiting list for your chosen category you will be notified and arrangements made for payment. If there is a waiting list, as may happen from time to time, you will be included on that list at this point. We're reintroducing the idea of an introductory chat with a club representative at this stage... nothing as formal as an interview... in order to meet friendly faces and make sure you quickly find your feet. If you have any questions or need clarification about which type of membership would fit the bill for you, don't hesitate to call and speak to our helpful and friendly office staff on 01423 862690 (extension 1). 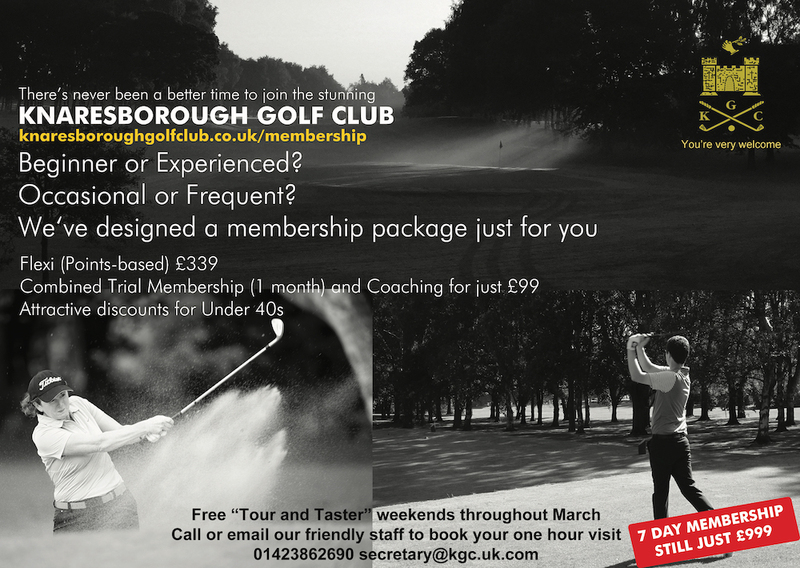 Knaresborough Golf Club does not charge an additional joining fee, so all you'll pay is your subscription plus insurance and affiliation charge. Subscriptions can be paid either in a discounted lump sum, or on a monthly basis. Importantly, while the Membership year runs from the start of April, you can apply to join at any time and pay only for the remaining months of your joining year. Join KGC and you'll never look back!